Ok, so I lied! I said in my Nike Sky Hi Dunks post that I wouldn't be purchasing anymore shoes for a long time. I also know that I'm a day late for this weeks link up that was scheduled for yesterday, forgive me! 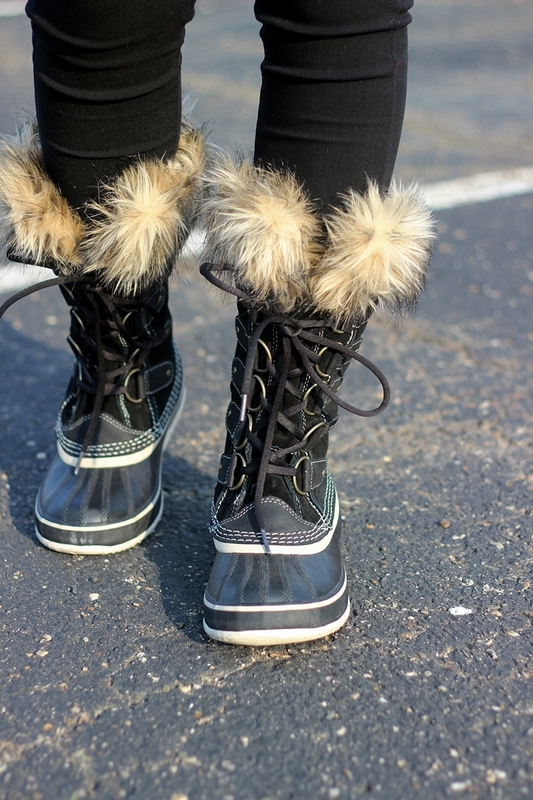 Third thing, I absolutely know that it isn't Winter anymore (even though we experienced a brief snow shower on Sunday) BUT if you guys were put in the position I was to acquire these boots, you would have definitely jumped on the opportunity to get them as well! So you guys know that I started working again back in November, but I never said exactly where. Well, I got a customer service position working for a company called Moosejaw, one of the craziest, yet sane places I've ever worked at! I love everything that the company does and what they sell. My family and I are avid outdoors-men (and women), even though I have yet to go on a real camping trip (#howSway you might ask?)! Anyways, every year, they go up to Ann Arbor to sell tons of gear, apparel and shoes for 80% off regular price! OMGOSH!!! You're kidding me right??! NOPE! So that's how these babies arrived to the collection. Hubby and I scored way more than just shoes, but for now, the spotlight is on the footwear today! 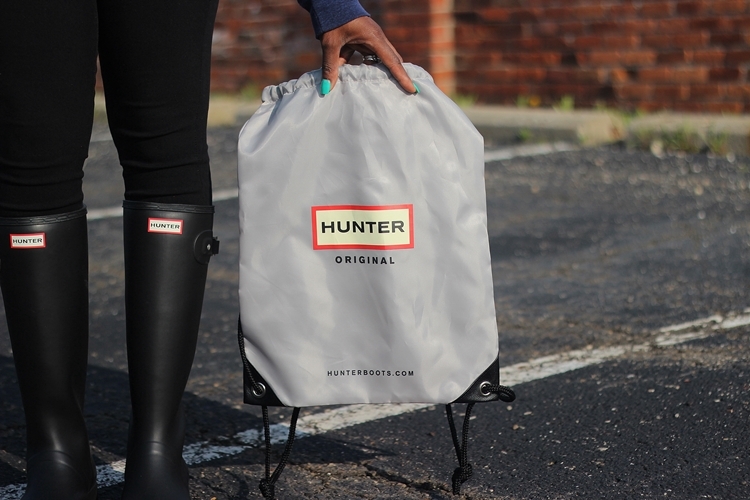 The first question I asked when I learned about the sale was "Are there going to be any Hunter boots?" I had to wait and see since there was SO much that was going to the sale. 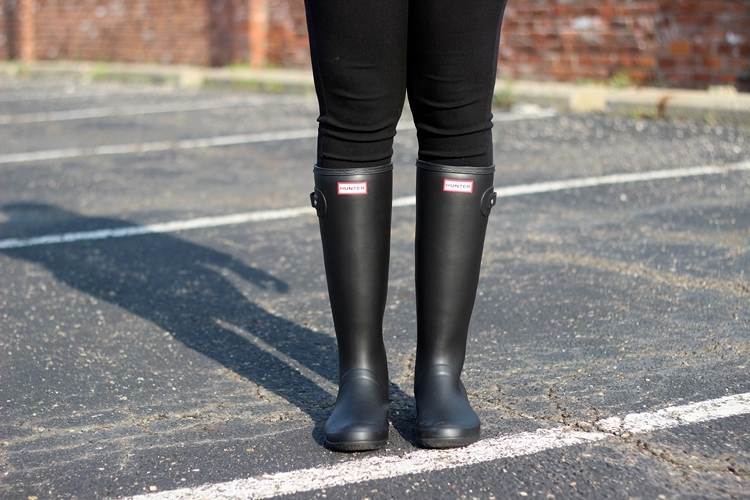 My prayers were answered with these Hunter Original Tall Boots in Black. I was really hoping that I could find the Tall Glass Boot, but no luck, which is okay! The ones that I scored will do just fine and the draw bag that was enclosed was a cute little surprise. So Hunter Boots are checked off of my shoe bucket list! I'm officially hooked, so can't wait to get another pair (hopefully on sale)! I purchased my true size and they fit perfect! 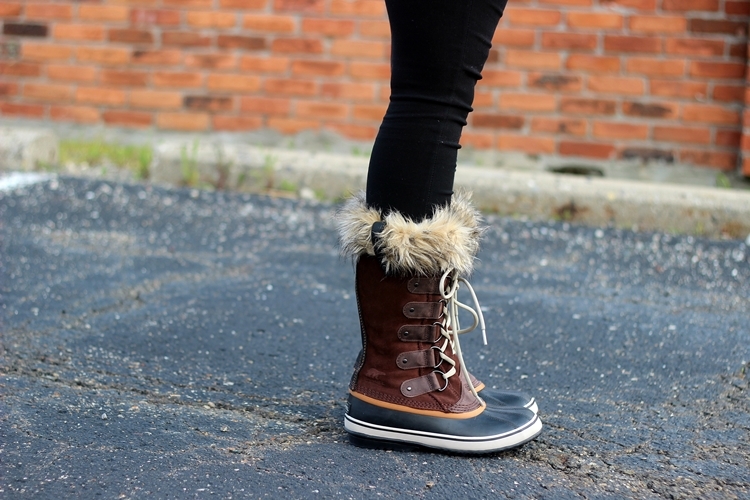 Another pair that's been on my radar for about a year are the Sorel Joan of Arctic boots. I own a different pair of Sorels, so I know the quality of the brand. 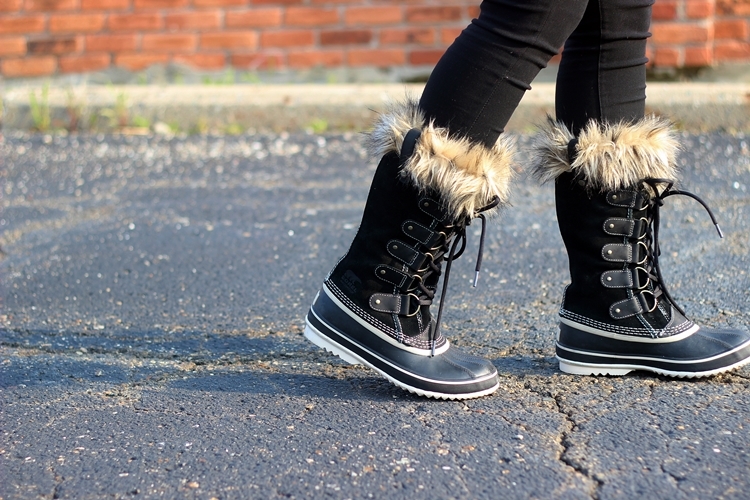 They're perfect, especially in our MI cold weather situations. My husband showed these to me and every time he went to try and get them for me (he's one of the supervisors in the warehouse) they were sold out! EVERY TIME!! I swear these are the next best thing since sliced bread from a retail perspective! So when a size 8 appeared out of nowhere, I had to scoop them up! I oohed and ahh'd over them so much, I got them in the Tobacco/Sudan Brown color also! Purchased my regular size, fits like a glove! You may be wondering what exactly was paid for the boots! Here's a little break down! I think that deserves a round of applause!! 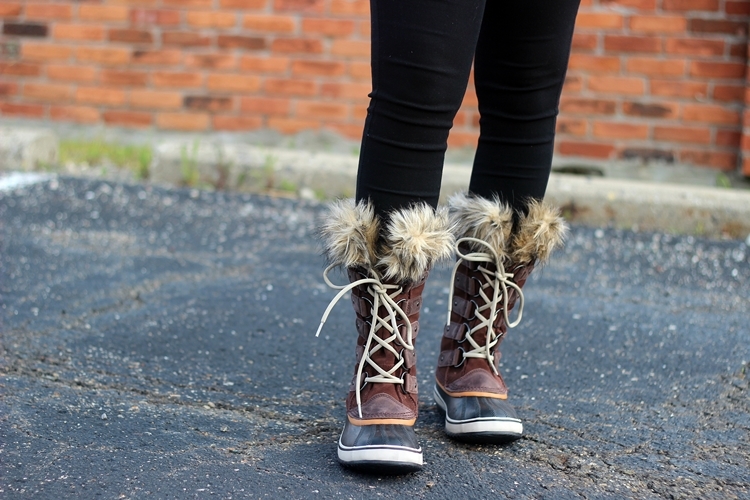 Very happy with the prices that I got these for and I know that they will be a staple in my wardrobe for the colder weather months (for the Sorels). 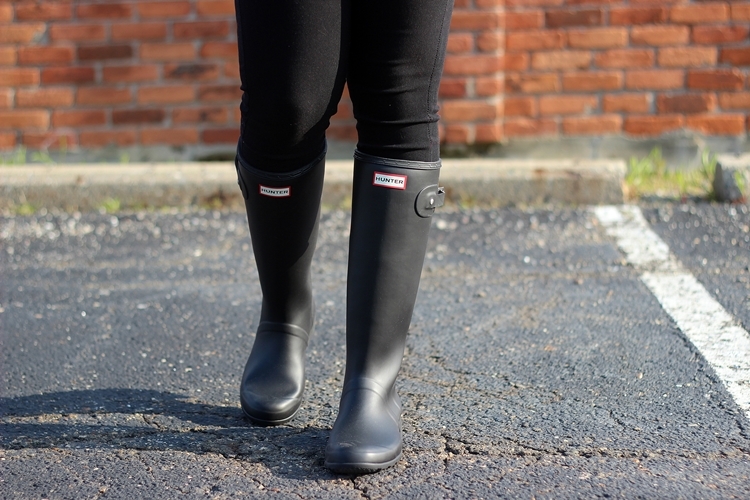 I am such a sucker for all rain boots, so the Hunters will be out for any and every wet weather occasion! Let's move on to the linkup!! Next week, I will be back on my game (hopefully) and pull through with LMTF! linking up with these lovelies this week!